Torn apart by decades of an extremely destructive civil war, Sierra Leone is struggling to escape the bloody mess in which she finds herself. The cry for children’s rights, many a time violated during the war, has even today yet to make itself heard. 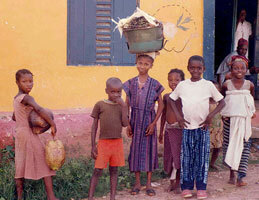 Sierra Leone numbers among the poorest countries in the world. 70% of its population lives below the poverty line. The gross national income of its inhabitants is more than 100 times lower than that of Italy’s inhabitants. Such an economic situation has a profound effect on rights which the International Convention of Children’s Rights seeks to guarantee. 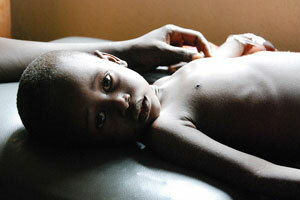 The healthcare situation in Sierra Leone is especially grave and deplorable. The infant mortality rate is the fifth highest in the world and life expectancy is extremely low. Hopes are high for the future, however, owing to recent reforms in the system and the government prioritization of such reforms. Medical care has become free for pregnant women and children under the age of 5. However, further development of health services is required if such services are to effectively meet the needs of the population. Too often, benign health problems become a matter of life and death. This is usually due to a lack of preventative measures, and poor hygiene. Furthermore, health and medical establishments are unable to guarantee even the most basic quality of care. 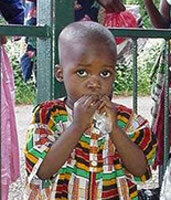 Female genital mutilation is still practiced in certain regions of Sierra Leone. One estimate is that more than 30% of young girls have been subjected to this particular operation. The procedure is dangerous and dirty and can have serious consequences for the health of the young girls involved. Infections, hemorrhages, and other problems are not uncommon. 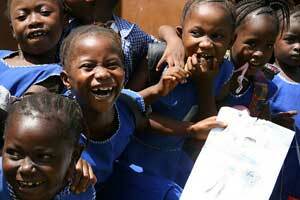 Nearly 30% of children in Sierra Leone are uneducated. After years of civil war which led to the closing of many educational establishments, there has been some improvement in school accessibility. Even so, it remains very difficult for certain children to go to school, particularly in remote regions of the country. School buildings are dilapidated and the teachers are by and large unqualified. What is more, a large number of children are forced to work to support their needs—a situation that invariably has a detrimental effect on their education. The armed conflicts that have occurred in Sierra Leone have had a significant and altogether negative impact on the lives of children. Children have in effect been recruited by armed groups that kidnap them at an early age and force them to live under the most atrocious conditions. Young girls are abducted and raped, while the boys are forced to become soldiers. On orders from their chiefs, they are forced to kill and massacre entire families. Reintegrating these children into civil life is a very complicated affair. Certain centers have been established to help them to do so. However, because they have known only violence and cruelty over the years, it is difficult for them to return to a normal life. In Sierra Leone, nearly one out of every two children are obliged to work in order to help support the needs of their family. Some find work as domestics; thousands of others, however, end up working under extremely dangerous conditions and sometimes die as a result. Examples include child miners and field laborers among others. If by chance they escape, these children nevertheless bear scars and frequently suffer from physical and psychological problems. 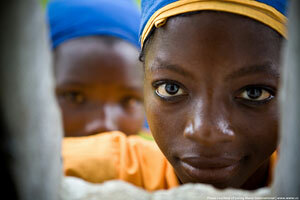 Domestic violence remains a problem in Sierra Leone, particularly with regard to young girls. Many are beaten at home and sometimes raped. Abuse is rarely reported and even when it is, nothing tends to come of it. Nor is child abuse simply a family problem. Young girls are known to be abused by their teachers. The physical and psychological trauma that ensues is extremely harsh. Unwanted pregnancies sometimes result, thereby posing yet another threat to the lives of these young girls. In Sierra Leone, the minimum age for getting married is 18. Nevertheless, nearly one out of every two girls is married before the age of 18. They are prepared early on for their future situation as wives. However, these marriages often have grave consequences for the health of these young girls who do not understand what will ultimately be demanded of them. In Sierra Leone, 50% of births are not registered with the proper authorities. As a result, many children have neither an official identity nor a nationality. This invariably leads to even greater problems for the people who lack these things. Since they do not officially exist, they will remain invisible in the eyes of society and be unable to exercise their rights.